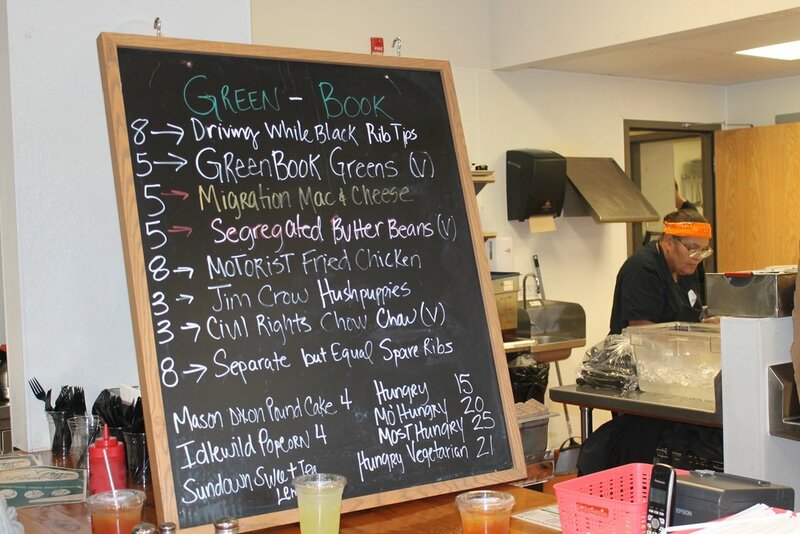 On Sept. 14, an organization hoping to serve an amalgam of knowledge and Southern cooking, hosted their last popup shop in North Minneapolis and reintroduced the community to a nearly forgotten history. The Onyx Culinary Collective (OCC) is a group of chefs and “food enthusiasts” who travel around the country and educate guests through a series of events that explore the history behind traditional African-American foods and their intimate link to Black cultural identity. The OCC is a part of a network of organizations and restaurants, such as Silvia’s in Harlem, New York, and Pascal’s in Atlanta, Georgia, that aims to highlight foods and customs shared by African-Americans. According to Tene Wells, a chef and the manager of the OCC, she and her colleagues chose to host their event in North Minneapolis because they feel there are limited soul food options in the city. “A lot of people don’t know about a lot of this. We want to let people here in the community know about the history of African-American cuisine and the traditions that were passed on from one generation to the next,” Wells said. Since early June, the group has been hosting these pop-up events, every second Tuesday of the month, inside the Breaking Bread Cafe and Catering restaurant in North Minneapolis. In addition to serving traditional meals, the OCC also centers the event around a chosen theme. From simple dinner parties inspired by African-American family reunions to intricate meals that reflect the food preferences of the late-Minneapolis native and artist Prince, the OCC has tried it all. The group even hosted an event that explored the intersection of African-American and Native-American cuisines and produced a soul food-inspired taco. The menu for the Onyx Culinary Collective's September pop-up meal offered soul food and a history lesson. To celebrate the end of their occupancy in the restaurant, the OCC concluded their series with a theme and meal that paid homage to the Great Migration of African-Americans to the North USA and the book that helped them along their journey. According to Wells, African-Americans often traded stories about their travel experiences and subsequently created a guidebook that would outline places that served food and offered lodging options for black people. This book was known as the Green-book. The Green-book was not only able to offer services for African-Americans, it also guided people on what they should travel with. “Between 1910 and 1970, millions of African-Americans migrated to the North for better opportunities and (a better) quality of life. (In order) to do that, they had to travel with foods that wouldn’t spoil easily,” said Wells. According to Wells, they could only carry collard greens, chickens, flour for cornbread and other foods that could maintain a long shelf life. For this reason, guests attending OCC’s last Minneapolis event were able to enjoy golden brown pieces of fried chicken, stewed collard greens, black-eyed pea soup, cornbread and other traditional items. While the North Minneapolis event has come to a close, Wells is positive they will pop-up back again, and the purpose will remain the same.